South Korea has become one of major tourist attractions. The popularity of K-pop makes people around the world put more interest to know more about the culture and all. 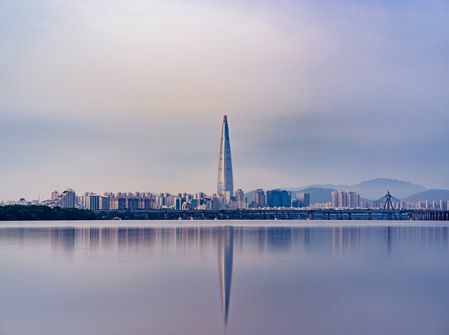 Aside from the hype of k-pop or k-drama, South Korea is truly home to distinct culture such as foods, music, social interaction, language, and many more. Travelling to South Korea, you can expect for great foods. Korean foods are famous for distinctive taste. There are lots of Korean foods you can try when you travel to this country such as kimbap, bibimbap, tteokboki, bulgogi, and not to mention the infamous kimchi. When you travel to South Korea especially Seoul you won’t have such a serene travel. It is due to the crowds since the population density in Korea is high. This is a travel to expect from busy place like Korea. However, this is suitable for you who like being surrounded by many people and interact with them while travelling. You don’t have to worry about internet connection when travelling to South Korea. This travel destination provides the world’s fastest internet speeds. You will see lots of devices with high technology in every building. It is not uncommon to find robot in one of those buildings since they are a thing in South Korea. Make sure you know what to pack before travelling to Korea. You can bring up to $400 worth of goods without paying taxes or duties. It includes 200 cigarettes, or 250 gr of tobacco products. However, only those who are 19 years and above can bring tobacco products. Make sure not to pack any foods or plant like agricultural materials such as peanuts, sunflower seeds, etc, even you just need them for snacks since they are prohibited. If you are American citizen, then you can stay for 90 days in South Korea for free or without applying for a visa. However, the rule can change anytime so it is safe to check the website of South Korean embassy to find out more about visa requirements for travellers. You need to do it long before your D-day. It is better recommended to learn basic Korean language before travelling to South Korea. Lots of the people in Korea can speak English. However, the majority of signs, services, and websites are in Korean alphabet. If you have difficulties due to language barriers, you can call the hotline by dialling 120 when you are already in Korea. It is also suggested that you bring enough Korean currency which is won (KRW). If you change money in South Korea, be careful of the scams. It is best to visit South Korea during summer or fall since the weather is nice and not as bitter as in winter.